I always liked that unusual title, PRIVATE HELL 36. What could it possibly mean. The number refers to a trailer park address and the ‘Private Hell’ refers to the fear of getting caught. Cal Bruner (Steve Cochran) and Jack Farnham (Howard Duff ) are two police detectives assigned to a stake-out at the Hollywood park racetrack. They are after a killer/bank robber whom Lilli Marlowe (Ida Lupino) can identify . Cal falls for Lilli, a nightclub singer but she doesn’t want the life of a policeman’s wife. Jack’s wife is Francey (Dorothy Malone). She is always worrying about his safety. After the wanted man shows up and Lilli points him out, there’s a car chase which ends in the man dying after his car crashes. Cal and Jack are the only ones on the scene and they find the stolen money. Jack is all set to gather all the money up, ready to take it in , but Cal immediately suggests they keep some of it. Jack, very reluctantly agrees. Jack is conscience-stricken from the start. He cant tell his wife though he wants to. (They have a daughter called Bridget – which just happens to be the name of Ida Lupino and Howard Duff’s daughter). Whenever his phone rings, or the door bell goes, Jack is jumpy. he slugs one of his colleagues when they make a joke about the missing money not turning up. On the other hand, Cal is quite cool, just thinking about he and Lilli will spend the money. He isn’t in the ‘private hell’. 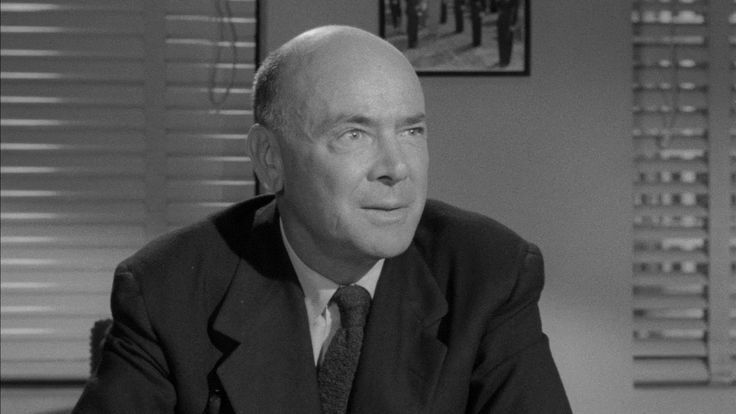 Their boss, Captain Michaels (Dean Jagger) is suspicious and tells them the dead man must have had a partner. Cal gets a call from someone saying they want the money. So someone knows they took it. (over $100,000). Cal hasn’t told Lilli what they did but she guesses when he says they are going to Acapulco. Although Lilli has made it clear she’d like to be rich, she has fallen for Cal and tells him she doesn’t need a diamond ring. But he wants the things money can buy. Jack wants to give themselves up and Call pretends to agree, but he plans to kill the guy who phoned him. They drive to the trailer park and the finale has a good twist which I didn’t figure out. 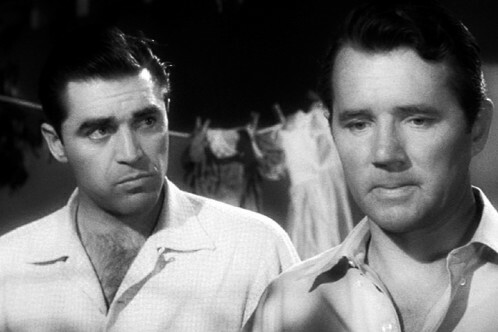 Howard Duff isnt quite up to displaying a lot of emotion, but he and Cochran make a good team. I’m a big fan of Steve Cochran who always gives a solid performance. He has a nice laid back style. Ida and her ex-husband Collier Young wrote the script and Don Siegel directed. (Young was still a partner in The Filmakers. Wonder why Ida didn’t direct it. Private Hell 36 has always been one of my favorite noirs. Thanks for shining the spotlight on this underrated film! A good movie – and I agree an intriguing and attractive title – with lots of very talented people taking part. I’ve not watched it for quite some time so it’s good to get a reminder. It might be even better regarded if Ida and Dorothy’s parts had been larger. You might be right there. I think the movie doesn’t get talked up nearly as much as it ought to, and that may well be part of the reason.